We take you through the A – Z of where you can make savings and unnecessary wedding details you don’t really need. Every little helps. 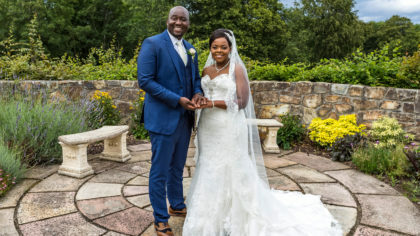 Many venues offer fantastic all-inclusive wedding packages that factor in the cost of civil ceremony room hire, decor, your wedding cake, DJ and much more. This is a brilliant option for couples seeking to minimalize stress by having these add-ons already selected for them. Therefore, saving time and money. Skip a sit-down meal in favor of a self-service buffet. Not only will your wedding have a more relaxed atmosphere and a bigger menu variety, you will also eliminate the cost of fine-dining table service. Instead of a selection of desserts, ask your wedding venue if your cake can be dished out to your friends and family. The more elaborate the design, the more the cost will rise. If sweet frosting and soft sponge aren’t your cup of tea, opt for a no fuss single tier cake to keep the price at a minimum. Alternatively, you could choose to give guests a cupcake as their wedding favor, allowing you to edit cake cutting costs from your budget. Decor, bridal party gift packs and all those little pretty details. By researching on Pinterest, Youtube and Etsy, you will find plenty of inspiration and step by step DIY tutorials to create your own homemade goodies for a fraction of the price. After booking the venue, entertainment often eats up the second largest chunk of the wedding budget. A renowned band can cost upwards of €3,000 for a night of live music. 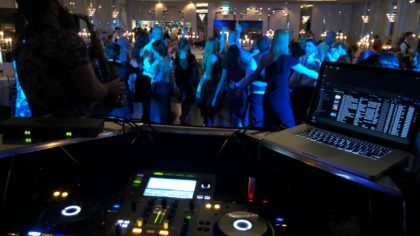 If you would much rather bust a move on the dance floor while the DJ spins the latest hits, then it’s totally okay to dive straight into a disco session after your evening meal. Similarly, instead of hiring a photobooth, get crafty and personalise your own DIY masterpiece to suit your wedding theme. There’s no actual rule stating you must gift your guests with a wedding favour. In this case, you could simply make a donation to charity or write a personal note for each attendee with your favourite memory of them and a sweet thank you message. Keep your guest list to a minimum and make like Pippa Middleton by applying a plus-one policy – only those engaged or in a long-term relationship can bring a companion to your special day. Similarly, if you have a large extended family, you could opt to invite no cousins or just the eldest to represent each family. Confident in your own make up application skills? Avoid trial fees and travel expenses by doing your own beauty regime on the morning of your big day. You will look exactly like your everyday self, just a more polished version. Set up a wedding website or email your invites to avoid paying through the nose for handcrafted stationery, RSVPs and postage costs. Plus, it’s more environmentally friendly. 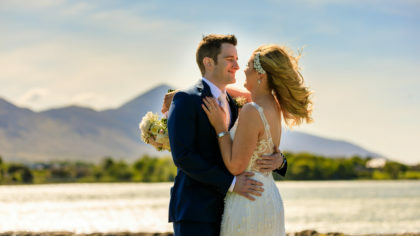 Getting married abroad or during the warmer summer months? Get the boys to ditch their suit jackets and opt for a simple shirt and slacks. 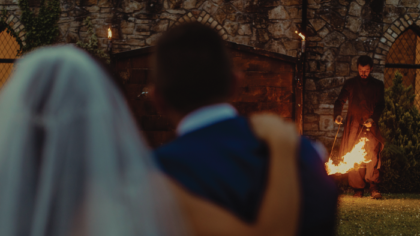 Most groomsmen rarely use their jackets after the ceremony anyway, especially if you’re lucky enough to enjoy temperatures in the mid-twenties or higher. Adopt a strict no children policy, so the adults can kick back and let their hair down. If you’re looking to avoid a booze-fest and make your celebration more meaningful, it makes sense to limit alcohol. 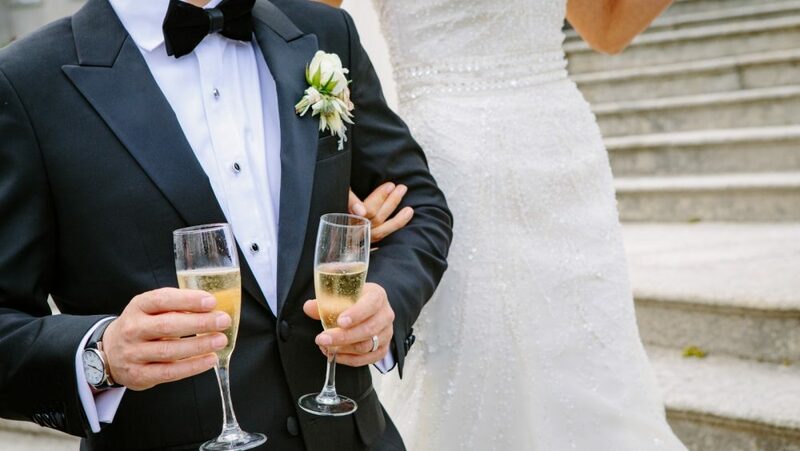 Discuss your budget with your Wedding Coordinator and seek their expert advice on how much sparkling wine should be provided at your arrivals reception and during your evening meal. If you’re going down the route of an all-inclusive package, this cost may be included in the price per person. Don’t feel under pressure to offer an open tab or purchase a bar extension for later in the night. This year has seen a revival of minimal wedding decor. Pantone’s 2017 colour of the year has taken things back to basics and thanks to this lust for greenery, you could source some of your decor details for free. Reap the results of foraging for fern, branches, ivy and other foliage; these can make fantastic base layers for your bouquets and centrepieces. Staycations are the new vacay. Ditch Route 66 and take off on a much cooler road trip of the Wild Atlantic Way. 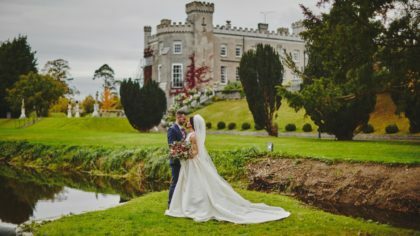 We are all guilty of failing to see the beauty on our own doorstep, and a mini moon in Ireland is the perfect solution if you’re planning on waiting a while before jetting off to an exotic location. 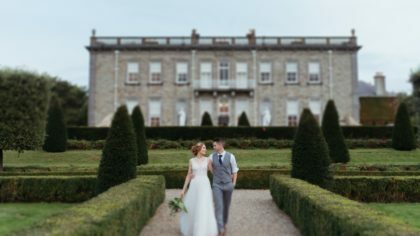 Book a midweek wedding or choose a date during winter to score a bargain. Many couples opt for weekend weddings, meaning the more undesirable dates will more than likely be free. Venues offer seriously competitive prices in order to fill availability. Thanks hun, Penneys! 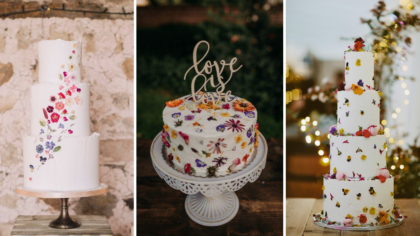 Late last year, the fast-fashion retailer launched budget-friendly wedding decor, and we couldn’t get enough of it. We can’t wait to see what gems are released this year. Thrifty brides-to-be can save big bucks on flower girl attire, candles, honeymoon accessories and pretty much everything inbetween. Always get several quotes from different vendors to compare prices and negotiate, negotiate, negotiate. Not to sound crass, but use them to your advantage! Is your cousin a budding photographer looking to gain experience? Or maybe your mum bakes the most delicious cakes known to mankind. Instead of buying you an expensive wedding gift, ask them to take part in your special day by offering up their talent as a service. They will be honored to get involved and it’s a win-win situation on both sides. Pick in season blooms for your bridal bouquets. Your florist will happily advise on what time of the year is best to use certain flowers. The hugely popular Peony is at its prime during June and July, so if you’re getting married in the depths of winter, you will seriously pay for the pleasure of having this pretty posie be apart of your wedding. Ask a family member with a swanky car if they will loan it for your wedding day. If this isn’t an option and you must resort to hiring a professional driving service, only book one car for you and your partner. 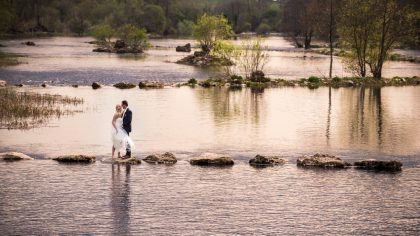 Organise a relative to ferry members of your bridal party from the church to your reception venue. Sorted. We prefer the term pre-loved. If you’re still searching for your dream wedding dress, charity auctions are a great stomping ground to find a hidden gem. 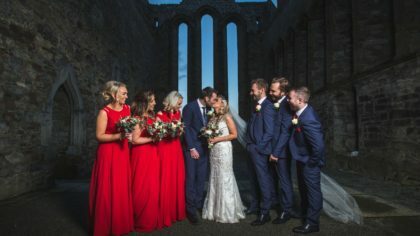 Previously owned gowns are more than likely to have only been worn once and you will be supporting a good cause whilst getting a fantastic deal. More than half your wedding budget will go towards the cost of your reception venue and meal. Consider carefully what price per head will suit your budget and final numbers. Don’t be afraid to thrash out an agreement, many hotels are open and flexible to negotiations. 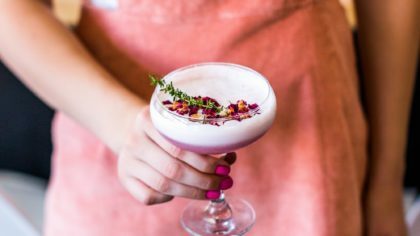 If you’re searching for a more alternative venue for a smaller celebration, why not break tradition and think outside the box by booking a restaurant, barn or industrial loft. These out-of-the-ordinary locations may just suit your dedicated allowance perfectly. Purchase your own wine. This will require a lot of research and effort, but if you do the sums correctly, it can pay big time. Many couples opt to buy wholesale or even travel to France to evade inflated hotel prices. Don’t forget to factor corkage charges into your price estimate, this is one hidden cost that could completely blow your budget. A hen or stag party is extremely expensive for the wedding couple, the bridal party AND the guests. Let’s face it, do you really need this added cost before the wedding itself? Between accommodation, dinner, accessories & fancy dress, the end figure can rise in a flash – and that’s not even considering a trip abroad! Instead, organise a small get-together with your main ladies to minimise expenses for all involved. Be clever when it comes to choosing your wedding year. Superstition is alive and well when it comes to weddings. Many couples avoid choosing odd-numbered years such as 2013 or 2017. Similarly, look out for any years with big sporting events on the horizon that may be held close to home, for example, UEFA EURO 2016 in France. 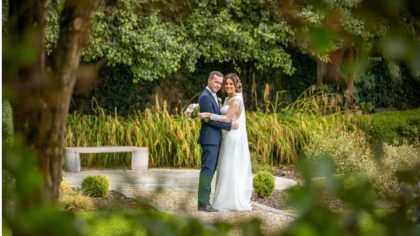 Wedding bookings during these years can be down considerably and you may just score a better deal. 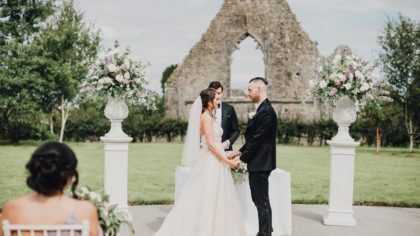 The Irish wedding scene has exploded over the past two years with glamorous details and unnecessary items added throughout every stage of the wedding. Sure, it’s lovely to swoon over these Instagram-worthy details, but ultimately will anyone really care in the long-run? In 20 years time, your guests won’t be reminiscing about your emergency bathroom kits over tea and cake. Nor will they think back fondly on your light-up LED dance floor, because they were probably far too drunk and enjoying themselves to even notice it was there. Remember, it’s your special day. 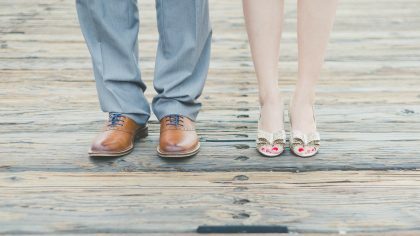 If these on-trend fads aren’t important to you and your other half, give them a miss and focus on what truly matters – your marriage vows to each other.